Are you ready for this year’s holiday parties? While it’s still technically only fall, the holiday celebrations are just weeks away, giving you just enough time to schedule those last minute cosmetic procedures that you know will help you to truly shine this year! 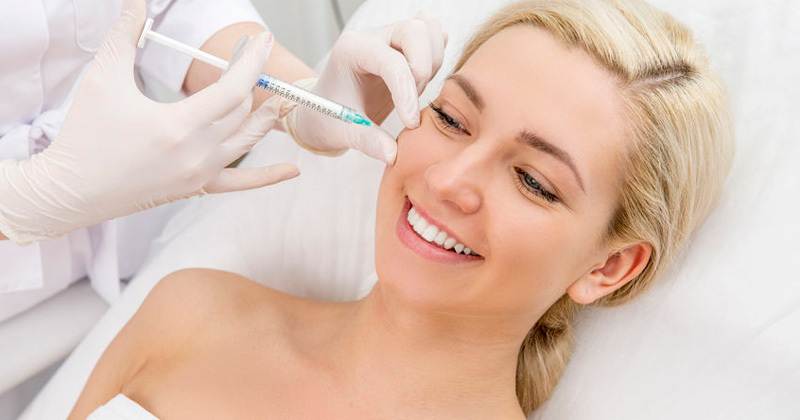 Botox is a purified protein that relaxes muscles that are responsible for forming wrinkles between the eyebrows, forehead and crow’s feet with movement also known as dynamic lines. Botox is one of the popular anti-aging treatments on the market! Over 10.9 million vials of Botox have been sold in the United States since 2002 and it is one of the most clinically studied drugs. Botox softens fine lines and wrinkles while giving the skin a rejuvenated, lifted and smooth appearance. The treatment itself is quick and there is virtually no downtime. Some may experience a bruise at the injection site and if so that typically resides within one week. Botox takes about 7-14 days to take full effect and lasts approximately 3-4 months. It is the perfect holiday pick me up to look and feel refreshed. Many can relate to having an area, or 2 or 3, that we wouldn’t mind getting rid of some unwanted fat. Coolsculpting is a noninvasive fat reduction treatment that can do just that! Coolsculpting freezes the fat cells in a clinically proven method called cryolipolysis. During the treatment which takes about 30-60 minutes per area, an applicator is placed over the bulge of fat drawing it in with tight suction. The fat cells then painlessly freeze and naturally shatter and get absorbed and eliminated by the lymphatic system. During treatment, one can comfortably watch television or work on their laptop during treatment. There is no downtime and one can resume their normal activities immediately. The average person permanently loses up to 25% of the fat cells in the area treated. Some see results in as little as 4 weeks but it can up to 16 weeks to see optimal results. Common areas treated are the abdomen, love handles, thighs, back, arms and under the chin. Coolsculpting is an excellent alternative for those who are not ready for surgery or those that are not surgical liposuction candidates. This is the perfect pick me up to feel great in your holiday attire. TempSure is a completely non-invasive treatment that uses radiofrequency energy to rejuvenate the skin. The radiofrequency energy is delivered through a wand that is placed in contact with the skin and smoothly moved over the skin. TempSure treatment results in an improvement in fine lines and wrinkles, improved skin tone and tightening, and an overall improvement in the quality and appearance of the skin. This is the perfect pick me up for a beautiful complexion during the holidays. The holidays are also a great time to undergo laser skin rejuvenation, as most people have less exposure to the sun in the fall and winter. For years, professional microneedling facials and intense pulsed light (IPL) treatments have become more popular as the go-to source for minimally invasive skin rejuvenation. This is in part due to these procedures’ effective, visible results and the minimal downtime they require. From wrinkles and stretch marks to acne and surgery scars, microneedling has proven effective for reducing virtually all visible signs of aging, as well as improving the skin’s texture, smoothness, and firmness. IPL is safe and effective for use on exposed skin, such as the face, neck, chest, arms, and hands. We use laser treatments to correct a variety of skin concerns. Whether your concern is unwanted fat, wrinkles, volume loss, sagging skin, age spots or acne there are a wide variety of non-surgical cosmetic procedures with minimal downtime available. Often time gets away from us so with the holidays approaching now is the time to start getting ready for those holiday parties and events. Mary Lee Amerian M.D. Dermatology offers complimentary consultations to determine your candidacy. Contact us today to find out which of our most popular non-surgical cosmetic procedures will help you look and feel your personal best for the holidays. Check out the top five dermatologist recommended holiday cosmetic procedures and get heads turning at your next holiday party!